I have a question about your horticulture therapy course. Do you get any books to help with the course or is there a suggested reading list to help with the course? Detailed reading material is included with the course. However, you should note that there are set tasks for each lesson to help you acquire a deeper understanding of what you need to learn. These can be in the form of further independent research, networking or suggested reading. The written assignment you are required to submit for each lesson, will be based on the reading notes and the set tasks that you do. The course is structured in a similar fashion to doing a degree in that it is based on reading, research and reporting. Hi, May I enquire is the certificate is recognised by universities locally or globally or both? Also, for electronics certification is it allow to use to apply universities courses? The course may be accepted by universities, but it will depend on the entrance criteria and your own particular circumstances (other qualifications, mature student status etc). The course is worth 10 UK credits and 3 U.S. credit hours, but you will need to approach the university of your choice to ask them,before enrolling, if you want to use the course for that purpose. The course is ideal for CPD (Continuing Professional Development) and covers what is needed to become a Qualified Horticultural Therapist. Once you have successfully completed the course, ASIQUAL, the independent awarding organisation which assesses the levels of our courses, will issue a certificate. You will receive a hard copy of the certificate in the post, along with a transcript of what you learned and your assignment grades. You will also be awarded a Distinction, Merit or Pass, depending on how well you have done overall. In addition to the certificate and transcript will sent to you electronically. I HAVE A QUESTION ABOUT YOUR HORTICULTURAL THERAPY COURSE. I LIVE IN FINLAND.I WOULD LIKE TO KNOW IF I CAN DO\WRITE A PROJECT AFTER COMPLETING ALL THE REQUIRED ASSIGNMENTS. You can complete the course with either an exam taken at a time and place of your choosing, or by doing a final project set by your tutor. I have some questions about your Horticultural Therapy course i.e; what qualification/level are you working towards,what is the time criteria and is the qualification recognized nationally? The Horticultural Therapy course has been benchmarked by ASIQUAL as a level 4 course. This is a Certificate course and offers roughly 100 hours of study. The qualification has been used in various different capacities within the care and horticulture industry. providing a pathway to rehabilitation; or perhaps providing an alternative lifestyle. Sometimes programs are developed with a group focus, and at other times they are tailored for the needs of an individual. The therapist may work with a small group, or they may work one on one with individuals. 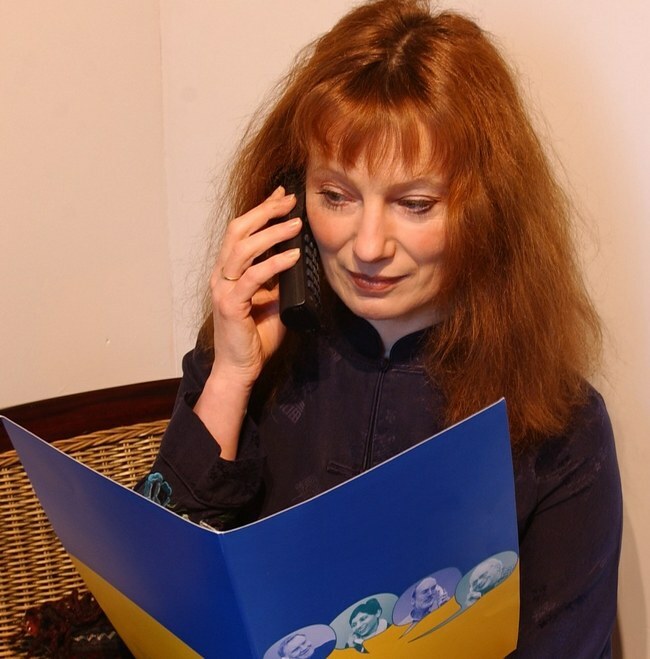 They often work closely with health care professionals or other service providers (eg. A physiotherapist may better understand the physical needs and limitations of an accident victim. A horticultural therapist working with a physiotherapist can develop a program of horticultural activities for an individual, that is tailored to their needs and leads to effective rehabilitation. The benefit of this “joint” approach may be that the patient can be prescribed a pathway to recovery that does not seem like exercise, and which the patient is more motivated to adhere to). A horticultural therapist needs to be part horticulturist, part health care worker, part counsellor, and sometimes other things beyond these. They can work in medical or health care institutions (eg. Hospitals, Homes for Elderly), community centres, special schools (eg. for people with disabilities), Sheltered Workshop, Prisons, or any other relevant situation. Describe the scope and nature of horticultural therapy. Discuss the application and significance of communication skills to interacting with clients in a horticultural therapy situation. Identify potential risks to participants within a horticultural therapy program; outline risk minimisation procedures. Determine solutions to improve accessibility and usability for disabled people in horticultural situations. Describe ways to modify horticultural practices to suit them to disabled people. Learning Principles - What is Learning? There are many benefits to be gained from horticultural therapy. These benefits are both physical and psychological. People of any age can participate in horticultural therapy. 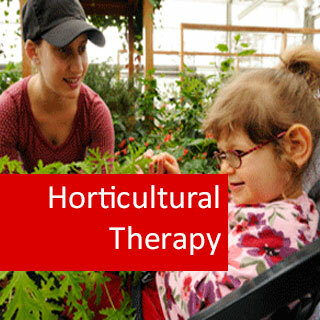 The horticultural therapist can individualise the work they do with a person, according to their abilities, so activities in horticultural therapy should be accessible for all. For example, work areas can be made more accessible for people who have difficulties with their back or bending, so that they do not have to bend over work areas. Work areas can be lowered so people in wheelchairs can use them. They can also be lowered so that children can work on benches and so on. The location where horticultural therapy is carried out can also be individualised. For example, the area could be controlled so that children or vulnerable adults do not have access to dangerous plants or put plants in their mouths. Gardens can be made accessible for people with wheelchairs, mobility problems, sight difficulties and so on. Improve their fine motor skills. We have fine and gross motor skills Gross motor skills involve our larger muscle groups, such as when we dig, run or jump. Fine motor skills involve the use of our smaller bones and muscles, as we would in handling secateurs, sowing seeds, writing and so on. Increase muscular strength and muscle tone – being involved in gardening can help a person to increase their muscular strength. Even if they are not able to use some of their muscles, for example, if they are unable to use their legs, it can increase their muscle strength and tone in other areas, such as their arms, shoulders etc. Increase range of motion – Having to move around, dig, prune, sowing and so on can help increase the range of motion a person has. Improve coordination and balance – Being involved in gardening and horticultural therapy can help a person to improve their coordination and balance. Imagine digging, this requires the use of arms and legs, so requires a good range of coordination and balance. If a person cannot use their legs or arms, then the limbs that they do use will require increased strength and tone and also balance and coordination. Therefore, horticultural therapy can increase a person’s physical health. It can help increase a person’s self esteem. For example, a person who does not feel they are good at things, perhaps they have disabilities or learning disabilities, being able to be involved in gardening and horticulture, and do it well, can increase their self esteem. It can help increase their independence – It can help a person to learn new tasks, to work on their own, to learn more about plants and gardening. It can also help with their independence if they are able to transfer these skills to other environments and their own home. For example, growing plants and vegetables in their own home. It can also increase the observation skills a person uses. They have to become aware of how plants grow, how seeds should be planted and so on. Horticultural therapy can also allow a person to make choices. With some psychological conditions, such as some learning disabilities, a person may not have very much control over their own life, so being involved in horticultural therapy enables them to make choices and state their independence more than they have possibly in the past. Horticultural therapy can increase a person’s problem solving skills – when to plant certain crops, how, how deep, what type of soil, what do they do in less than ideal situations and so on? It can also help them to consider more about their own abilities. People can show great initiative. What if they find digging hard? Or planting seeds hard? The person and the horticultural therapist can look at ways in which they can become more involved, so aiding their problem solving skills also. It can also increase a person’s creativity, help them to think of how they do things, how they plant a garden, where is the best place to plant a particular flower, what would look best and so on. Gardening and horticulture can also be a place where a person can let out their emotions or stress or anger. Exercise can be a good release of anger and emotion and there is obviously exercise involved in gardening. Also, thinking about the plants and soil and what you are doing can be a good distraction from a stressful situation. Horticultural therapy can also have social benefits, allowing the person to interact socially with others, which can also increase their self esteem, social skills and speech and language skills. By showing a commitment to living things, a person is taking responsibility for that work, that garden and also to working with others as part of a team or group. It can also help a person to deal with success and failure. A person may have many filatures in their life, but gardening can help them to find ways to overcome failures. Because a plant does not flower one year or a vegetable crop does not grow as well as planned, this can be used to help the person to look at what they did (problem solving again) and how things could be improved. Was it the wrong soil? The wrong location? Was the weather too cold for the plants to survive? What could they do about that? It enables a person to commune with nature and to feel the benefits of doing so. It also allows the person to be inspired by others, to learn more about nature and their environment. Written for students and keen home gardeners, this colourful ebook is packed with guides and information on how best to take advantage of the organic growing revolution for your plants and garden. 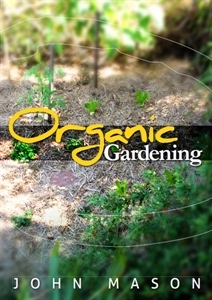 Organic Gardening eBook course online. For decades farmers have relied upon chemicals to control pests and diseases in order to produce saleable crops. In the ornamental, vegetable and fruit gardens, reliance on chemical controls have been the mainstay for many gardeners.